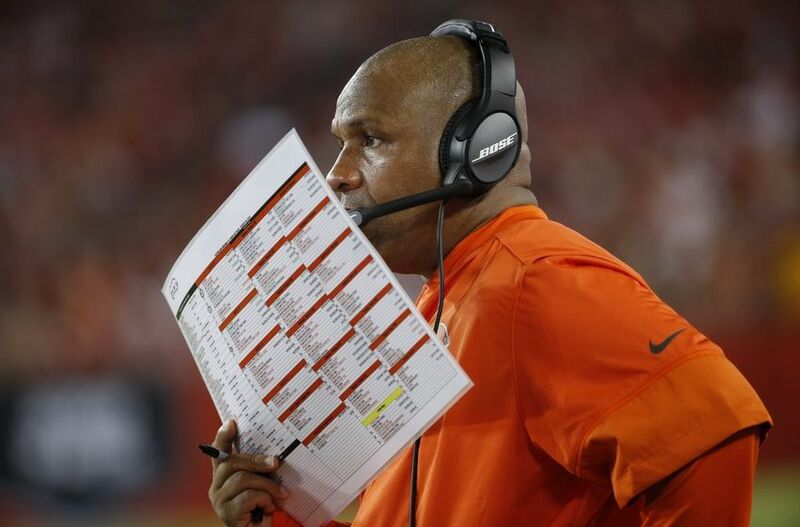 Todd Haley was announced officially toady as the new Browns offensive coordinator, and with it comes the hope that he can take the play calling duties off the plate of head coach Hue Jackson. Many felt it was time that Jackson brought in someone to help with the dreadful Browns offense, but if you ask the coach who has gone 1-31 in two season if he was forced to make a hire of an OC, he will flat out tell you no – the very thing he said today to Mary Kay Cabot of the Plain Dealer. “No, let me say this and let me go on record and you guys can write this: No one ever told me I needed to hire an offensive coordinator,” Jackson said via Cabot. “I could still be calling the plays for the Cleveland Browns. That is what I thought was best for us. So you can debate if Jackson simply wanted to have someone else to take the fall if the offense goes south, or he’s lying. Either way, Haley is aboard so the team will have someone to give their input as to how to make the Browns better once the 2018 season begins.